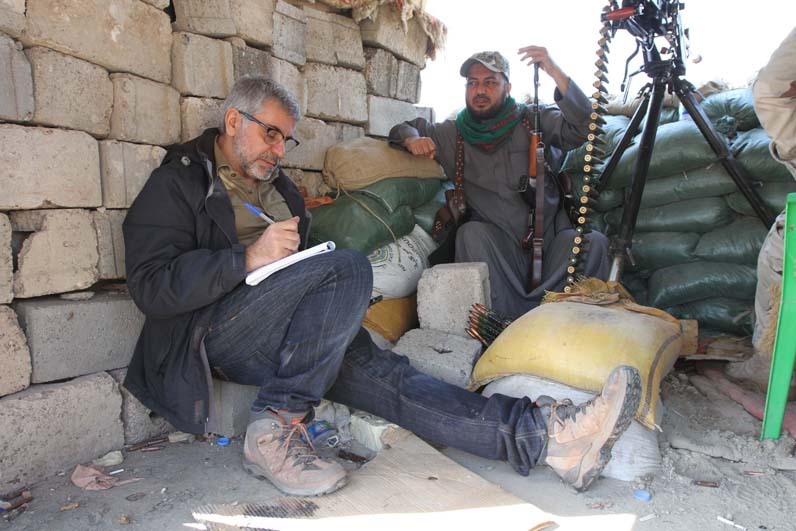 Borzou Daragahi (Liberal Arts, ’91) has just returned from the battle frontlines between the Isalmic State and Shia militiamen. All he wants to do is watch cartoons with his daughter, Samarra. Daragahi is exhausted. It’s been a crazy few months, after all. Heck, it’s been a crazy decade. After reporting on the Iraq War for five years, Daragahi covered the Russo-Georgian War and the conflict in Lebanon in 2008, and the Iranian uprising in 2009. Then, the Arab Spring happened. Through all of his experiences, Daragahi has survived on tenacity, savvy and his acute awareness of his surroundings. He’s also relied on his ability to challenge assumptions and uncover the truth—lessons he learned, in part, at Eugene Lang College. Currently, Daragahi is reporting on Libya, where two rival governments are battling for control of the country. Not only is the conflict complicated, Daragahi says, it also has been neglected in favor of stories in Iraq, Syria and Iran. It’s clear too that Daragahi is driven by passion for his work. Even when exhaustion hits, he’s still thinking about his next story.